Agree with the views of rubs. For illustration workers, slight movements are difficult to observe and do not cause major problems. However, for UI designers, a small amount of error can have catastrophic consequences, such as incorrect size of the slices, alignment problems, and so on. As a UI designer who uses Affinity Designer heavily, I have been forced to develop the habit of constantly alerting the size and position of objects, and I am very careful about every mouse click, because the mouse is too sensitive. The problem of slight movements was raised a few years ago, and it did improve in later versions, but as rubs said, it has not been fully resolved. Long-running Affinity Designer will slow down, and the probability of a light-shift problem will increase dramatically. 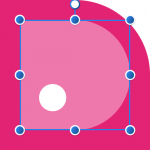 It's useful when drawing an icon set. bump. It's been a year and there's been no response. Why you've been ignoring this advice? How do I relink attributes of symbols? Randomly, symbol unlink attributes for me automately. To relink them, I have to delete them all and redo everything again. This is absolutely not cool. What I do is avoid using them from the beginning. I believe this is a major bug that can't be fixed in the near future. Since this bug exist since the symbol is born, I eventually believe it is incurable, because it is a part of the symbol. So I think poviding a method which can restore/relink the attributes of symbols will solve the problem without fixing the bug. is the layout information saved in some folder that I can copy to another computer to reproduce my layout? Hi Sean P, Thank you for the explanation! I took a moment to figure out how to align the text. The key is to adjust the indentation value. Thanks again. is it a bug or by design? I use artboards so much that I really want it in artboards. 1.7.0.184 can't check "show grid"
AD has stabilizer for Pencil tool in draw personal. this is great. but in pixel Personal, no stroke smoother for paint brushes. In procreate there is streamline option for every brush which allows users to draw smooth strokes. I think it's a great feature and AD deserves it. following is a video showing the way how it works. Compared with Affinity Designer's pen tool, what improvements did you find? @fdelaneau The spec tool provides these information to developers. eg. Zeplin. As the files in AD are increasing, there is no way to export and delete them in batches. Did I miss something? I reported this bug in 2016, and tony said the solution: https://forum.affinity.serif.com/index.php?/topic/31290-ctrlclick-duplicating-objects/ I agreed with the solution. Now that one year has passed, Affinity Designer has updated many versions, and many bugs have been fixed. But unfortunately, this duplication keeps occuring. Here are my experiences about this problem: Normally ctrl+click is fine and does not produce duplication. Buy when The compute runs slowly, the AD file is complicated, the ctrl+click duplication is easy to occur. I noticed that sometimes just clicking on an object in AD caused a slight offset. So the real bug is that in some cases, the mouse will offset slightly when clicking. It's more likely to happen when the computer is slow.